Bioinformatics combines biology, biochemistry, mathematics, statistics and computer science for analyzing and understanding the biochemical processes of life. If your passion is biological processes such as understanding genetics, DNA and biomedical information, this program would suit you well. You will learn specialized computational techniques for storing, visualizing, and analyzing data generated from genome sequencing projects and technologies for determining gene expression and protein structures. You will be able to deduce information about an organism from its genome. Basic principles and techniques of nucleic acid manipulations used in molecular biology and biotechnology are presented. Information and practical experience with plasmids, restriction endonucleases, PCR, DNA sequencing, site-directed mutagenesis, cloning, hybridization, analysis of RNA and gene promoters, and protein over-expression are presented. The laboratory component will also include an Internet exercise. You can take part in the Bioinformatics Internship Option where you will complete 12 to 16 consecutive months of supervised work experience with a sponsoring employer. The work placement usually starts after the third year of study. The field of Bioinformatics developed during the exponential growth in molecular biological knowledge in recent years. 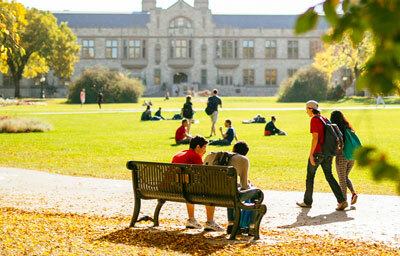 The University of Saskatchewan was one of the first universities in Canada to offer an undergraduate degree in Bioinformatics. Institutions and units such as AAFC, NRC, GIFS, WCVM, and VIDO-Intervac on campus provide unparalleled sources of interesting problems and collaborations.